When I think of La Mer, I think of the sea, the mysterious Miracle Broth and that iconic white pot. What I don't think of, though, is the rocket-scientist founder who died and took the secrets of La Mer to his grave—secrets Estée Lauder Companies were desperate to unearth. Max Huber, the mysterious man who invented Crème de la Mer, knew he was onto something special with his skin-healing cream. When Huber burnt his face in an experiment gone wrong, his life changed forever. He was, by all accounts, a vain man, and he couldn't find anything to heal his scorched skin. At the retrofuturistic La Mer HQ in Melville, Long Island, there's a black-and-white photograph of Huber—hair coiffed, skin perfectly smooth with straight, white teeth—that would put the cast of TOWIE to shame. A photo of a picture of Huber in the La Mer labs. As they innovate and create new products, the team at La Mer constantly questions whether Huber might have done it that way. Skincare is traditionally created by chemists, but Huber was a physicist who understood the effects of light, sound and energy. He lived on the coast in San Diego, and was always drawn to the power and life force of the sea. "The sea covers most of the planet, and algae makes up a huge part of the earth in biological terms," Paul Tchinnis, La Mer's research and development director, told me. "Macrocystis pyrifea is a sea kelp that grows two to three feet per day. Fish feed off it and thrive." This kelp is what Huber chose to make the basis of his broth. Huber thought to himself, If it can grow two to three feet per day, surely it could have regenerative effects on the skin? It took him 12 years of research and 6000 iterations, but eventually he succeeded, and Crème de la Mer was born. He was selling it to friends and out of a small storefront near his home. By this point, Huber was on Estée Lauder Companies' radar—they could see the potential and wanted in. Nervous that a large company would destroy his brand, Huber declined to sell. An original Crème de la Mer that the team brought back from Huber's lab. 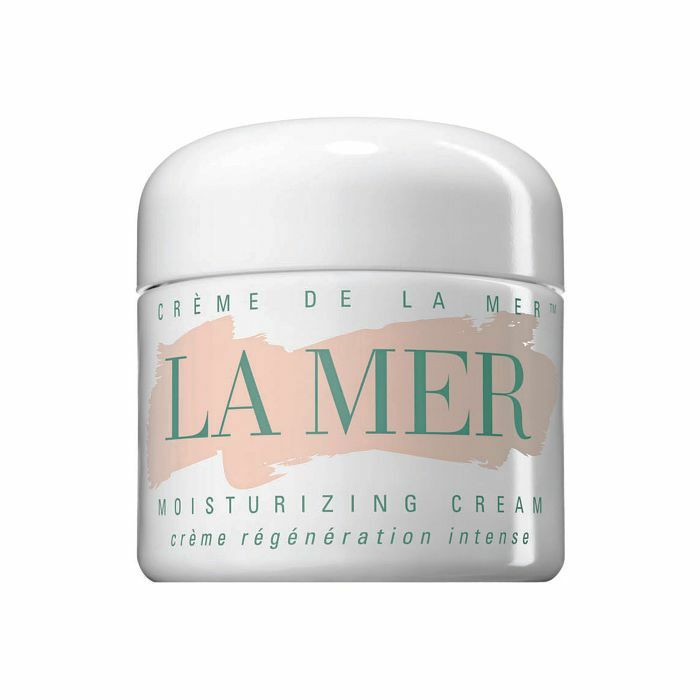 So intrigued by Crème de la Mer and its ability to heal skin, ELC tasked its senior chemist, Andrew Bevacqua (now senior vice president of research and development), to re-create La Mer in its labs in 1986. "[Crème de la Mer] really does heal skin faster," Bevacqua says. "I played around with the ingredients, and created a cream that looked and smelled like La Mer, but the results just weren’t comparable." When Huber died in 1991, the secrets of La Mer were left with his daughter, who had worked alongside her father creating La Mer. Or so she thought. The trouble was that Huber had no notebooks—he worked off instinct and his own internal knowledge. It didn't take long for his daughter to realise the brand was destined to die with her father, as she hadn't been able to successfully re-create the efficacious broth. 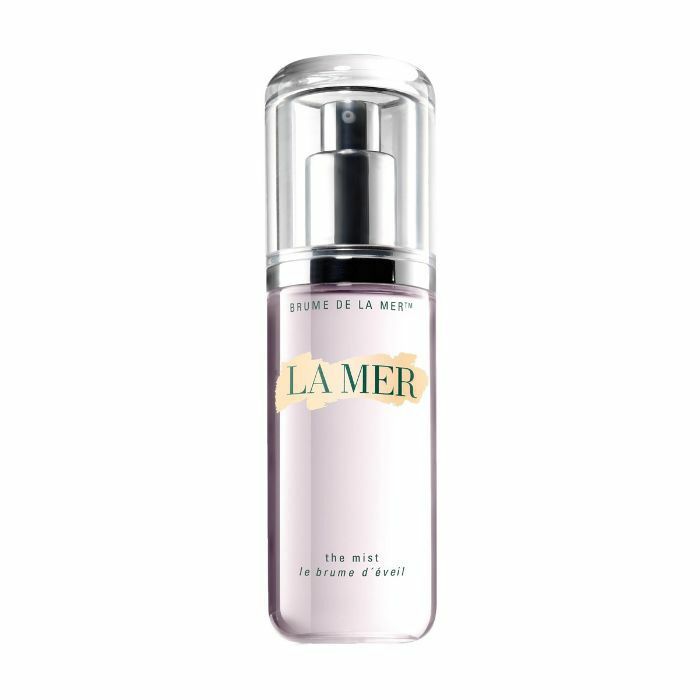 Recollecting Estée Lauder Companies' interest in Crème de la Mer, she reached out to see if they would buy it. It wasn't long before Bevacqua was on a flight to meet Huber's daughter and, at long last, unearth the secrets of La Mer. When Bevacqua arrived on the West Coast and witnessed where Huber made Crème de La Mer, he was shocked. “[It was the] most bizarre thing I've ever seen. The room was lined with little buckets of cream—there were weird sounds and odours and pulsing light," he recollects. "I spent two weeks with Max's daughter, since she had stood by father's side learning how to make La Mer. She taught me what he taught her." Huber had thousands of recordings with annotations scribbled on. The team today use the last recording Huber made before his death in 1991. We've all seen the articles comparing the ingredients in a pot of Crème de la Mer to those in drugstore creams. Bevacqua would be the first to admit that what's housed in the pot, at first inspection, isn't all that remarkable. Where it gets interesting, though, is with the broth. Each time a new broth is made, a small amount from the previous batch is used. All the products La Mer makes today contains a broth that can be traced back through generations to the batch Bevacqua discovered in Huber's office. The ELC team packed up the room—including two kilos of Huber’s broth from 1989—and shipped it back to their HQ to start the process of re-creating the cream and figuring out how to scale it for mass production. The La Mer HQ in Melville, Long Island. Given his background as a chemist, Bevacqua was sceptical of Huber’s recordings (that sound like bubbling and gurgling) and the lights he exposed each batch of broth to during the fermentation process. "I was fascinated by the light and sound, but it didn't seem very scientific," he admitted. The trouble was that even with Huber's fermentation, the cream Bevacqua was producing just didn't have the same healing effect on the skin as Huber's original. Time was running out—Mr. Lauder wanted to relaunch the cream with a "big splash" (no pun intended) and had committed to an exclusive launch with Saks. It had to work. Lauder told Joseph Gubernick, Bevacqua's boss at the time, to do "exactly what the woman told you" ("the woman" being Huber's daughter). Bevacqua utilised the lights and sounds, and things started improving. Turns out the sound waves and pulsed light act like catalysts, speeding up and improving the fermentation process, resulting in a richer broth. But things still weren't quite right. With time running out, Gubernick called Bevacqua into his office and handed him a piece of paper. It was a note from Huber saying that the issue was with the heating of the ingredients and to focus on that. Huber was long dead by this time, but Gubernick hired a psychic to consult with Huber from beyond the grave. Bizarre as it sounds, the tip worked, and Crème de La Mer launched in Saks right on time. "Lauder called it Miracle Broth because we know how well it works, but also it was a miracle that we made it," jokes Bevacqua. A bottle of the Miracle Broth. "We still don't know everything there is to know about the miracle broth," admits Bevacqua. "We know skin has an electrical property, and we made a discovery that the miracle broth amplifies the electrical potential of the skin, which in turn draws more of the ingredients into the deeper layers of the skin, leading to more hydration." La Mer has a history of consulting psychics and healers. ("Joe was an open-minded scientist," Bevacqua notes.) Years later, Bevacqua was working on a new product, and Gubernick had a healer go into the lab. The healer worked on one vat of the new product and left the other untouched, and in consumer testing, more people liked the one the healer had worked on. The La Mer team had the healer imprint her energy onto metal rods that they stored in Faraday cages so the energy wouldn't be erased. "[It sounds mad, but] we measured the energy coming from the healer's hands," Bevacqua told me. Unfortunately, the results were not consistent enough for the product to make it to market. These days, La Mer draws less on the alternative and more on physics, which is at the heart of the brand's DNA. "The mist has a magnet on the [inner tube], which gives it a magnetic charge to help the mist hydrate the skin more effectively. Just as Huber did, we try to look at skincare from a physics perspective." It's unlikely we'll ever fill in the gaps in the story or know everything about Huber and the inner workings of La Mer. But I get the feeling the team enjoy the mystery and perpetuating the myths of the man who masterminded the cult that is La Mer. Crème de la Mer isn't cheap—it costs £340 for 100 millilitres, while a small 30-millilitre jar will set you back £120. It's also shrouded in mystery; the brand doesn't share results from clinical trials, and it doesn't really talk about specific ingredients (even though the range draws on actives like retinol and AHA). Instead, purchases are fuelled by positive consumer reviews and customer dedication. It's so expensive because the products are so labour-intensive. The kelp is hand-harvested in small boats of three to four divers before being put on ice and shipped in small quantities back to Melville. Each batch of Miracle Broth takes up to three months to make. The lime tea, another key ingredient, takes six weeks to brew. Then the original cream has to be hand-filled at a certain temperature. 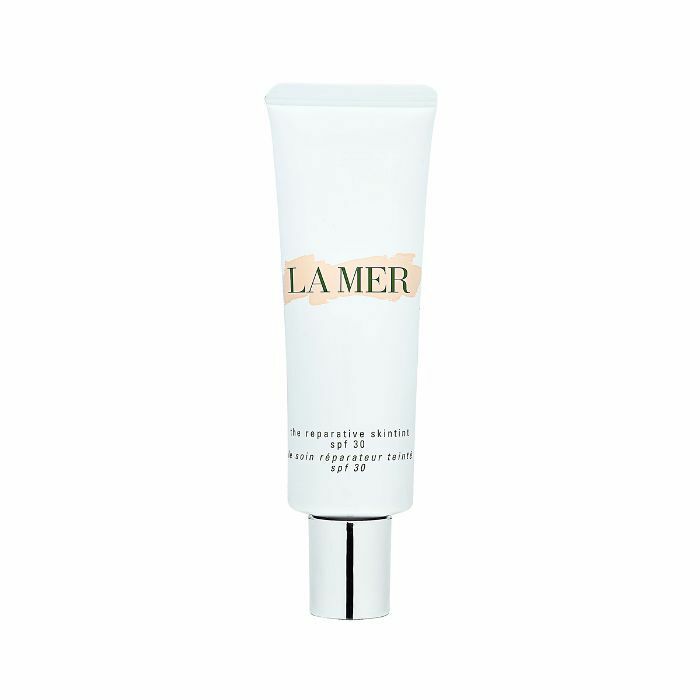 Since its beginnings in San Diego, the La Mer brand has found alternate ways to deliver the broth, be it via a more potent concentrate or in encapsulated powder form in the eye cream, which offers a slow release of the broth into the delicate eye area. There's even La Mer makeup: Reparative Skintint SPF30 (£70) was the first product to really hook me, while an oil exfoliating cleanser and a hydrating sheet mask are both on the horizon. Since fermentation is at the core of everything La Mer does, and with our growing understanding that fermented foods are so good for our gut, I ask whether they would ever go down the supplement route? Bevacqua tells me that whenever Huber's daughter felt like she was coming down with something, he would give her a spoon of the broth. "Everything we're doing here is prebiotic, probiotic, microbiome—if [the team] wanted to go there, we would have credibility," Tchinnis says. La Mer probiotics? Sign me up. Shop the original Crème de la Mer cream and the best buys for La Mer newcomers below. The original cream is quite rich, but now you can buy different textures, from gel cream to a lotion. The Mist is seriously hydrating and leaves skin looking dewy and fresh. With a minty taste and nourishing texture, this makes light work of hydrating dry lips. Like all the products, this contains the Miracle Broth too. One of the most luxurious tinted moisturisers you'll ever use, this lightweight formula leaves your complexion looking flawless and glowing, but still real.